The first regular production plug-in hybrid, the Chevrolet Volt, is a very sensible car. It’s modestly sized and provides satisfying performance but it’s hardly adequate for family use. Trunk is small and its back seat can only fit two people. So the world is waiting for a plug-in hybrid SUV, and Citroen may answer that demand with a future model from its luxury DS line. 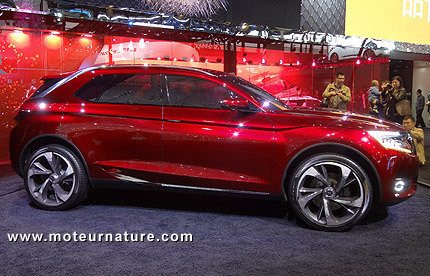 This Wild Rubis is a concept which was unveiled at the Shanghai motor show. It doesn’t look much like a jewel, but its outrageous paintwork is clearly enough to explain its name. Gas engine is a highly turbocharged 1.6-liter inline four giving 225 hp. The electric motor looks modest next to it, only making 50 kW (70 hp). This is another plug-in hybrid where electric mode is strictly for urban driving. Range is announced at 31 miles (50 km) so everybody gets the picture. 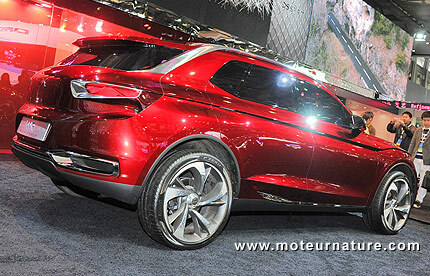 This DS Wild Rubis is built for daily electric commuting, with gas motoring for the week end getaways. 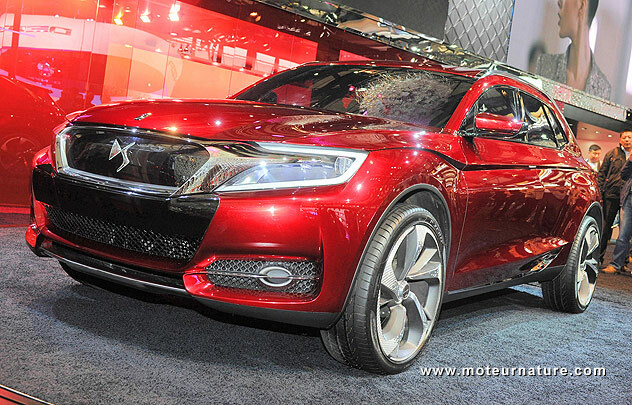 The DS Wild Rubis is quite large, its dimensions are close to a Volkswagen Touareg, we may expect a production version within 18/24 months. It could be sold in China first, then in Europe.